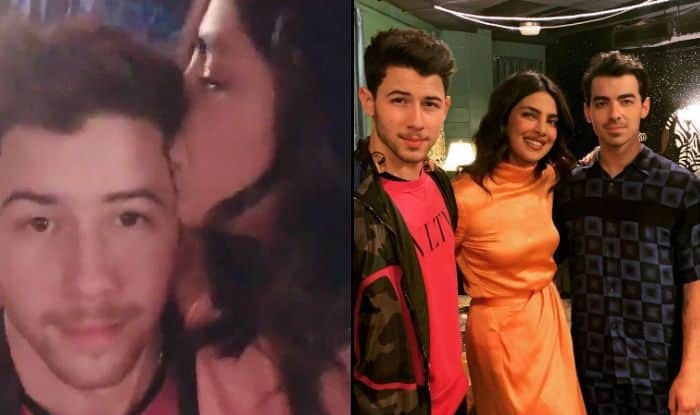 Priyanka Chopra has posted a new set of pictures and a video to show how much fun she had at her first ever Jonas Brothers concert. Actor Priyanka Chopra Jonas has shared a new set of pictures of her family on social media. She can be seen posing with husband Nick Jonas, parents-in-law Denise and Kevin Senior, and brothers-in-law Joe, Kevin and Franklin in one frame. In another picture, she is seen posing with just the three Jonas brothers. The photos are from the Atlanta tour of the Jonas brothers and as revealed by Priyanka, it was for the first time that she attended a Jonas Brothers concert. On the work front, Priyanka is gearing up for the release of her upcoming Hindi film titled The Sky Is Pink. It’s directed by Shonali Bose and also features Farhan Akhtar and Zaira Wasim alongside PC.